What Are Your Wolves and Rivers? Applied Biomimicry Can Yield Innovative Ideas. Take a second and consider a few tough problems you face at work or in life. More than likely, if you think about possible solutions, they are very direct—if nail, then hammer. We human beings often make some of our biggest mistakes when we are trying to be overly direct (too much force, too little finesse), or when we are short-sighted or overreact in the way we address challenges. Yet, as we know, there’s more than one way to solve a problem, and those who step outside the obvious path are heralded as innovators. What is one of the most inspiring sources of innovation? Nature. Can you feel it? The awakening that occurs when we consider that the energies we apply, even if small, can have earth-moving potential? The rippling impact of the Yellowstone wolves on their environment is an example of a trophic cascade: “An ecological process that starts at the top of the food chain and tumbles all the way down to the bottom.” The wolves were not a direct solution to a destabilized river system, but their actions had cascading positive effects, allowing for more overall abundance. Let’s see how we can apply the concept of trophic cascades to some organizational challenges. Pretend you are a school principal and you are facing declining math test scores. What do you do? Have students spend more time in classes doing math? Cut other programs and add math tutors? A solid music department could change the course of the rivers at your school. Strange that we often hear stories of schools closing these very programs because they need to narrow the curriculum to address standardized tests. Actually there are plenty of examples of the wolf in education—check out Stephen Ritz, a South Bronx teacher, and his students addressing challenges by growing food and all of the amazing, rippling effects of their simple acts. 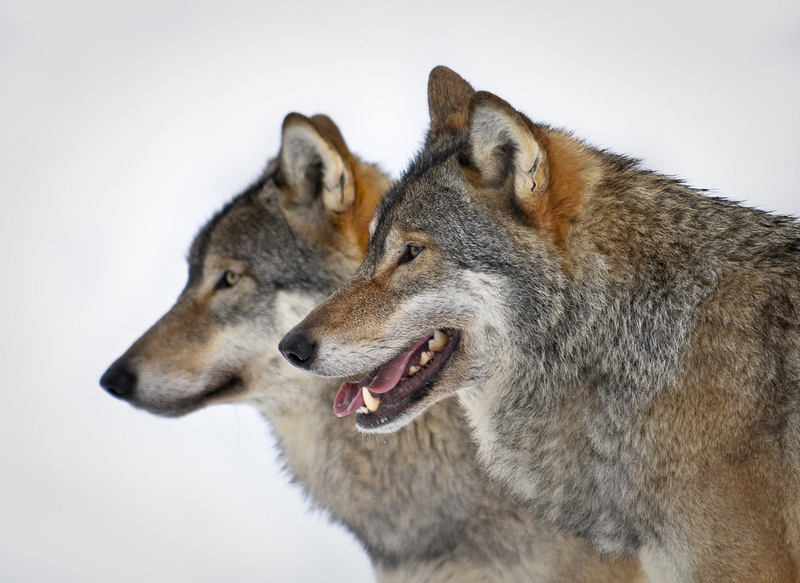 Recently one of our clients put us in the wolf’s role. A marketing and sales group for a large manufacturing company was headed up by a dynamic leader and a great team of folks. They were thinking outside of the normal ways to attract new customers—spiff programs, Super Bowl ads, and other familiar paths. They were looking for a wolf. Creating an education-based marketing strategy both for sales associates and consumers was where we came in. It was a bold move: creating a curriculum that supported independent dealers and stores to better train their sales associates, not only in how to sell the client’s specific products, but how to be better sales professionals in general. We also supported the people coaching the sales associates—creating a cascade of job aids, communications, and courses infused with gamification. All of this was tied into a highly engaging, gamified online portal. In addition to these steps, since our client cares about the environment, they have invested sizable amounts into R&D for sustainable products. They are real innovators, and a great fit for the customer demographic called LOHAS (Lifestyle of Health and Sustainability). LOHAS customers care about sustainable products, and are more receptive to advertising and marketing in the form of sharable educational materials that highlight products and the values behind them. LOHAS consider where they spend their money to be a form of activism, and educational marketing materials allow them to share their purchases with people who have similar values. Can Examples of Biomimicry Inform Innovative Ideas For All Kinds of Business Challenges? Part of what excites me about trophic cascades is that once again I see how many rich and innovative solutions can be derived from natural systems and elements. I have long been a fan of the emerging field of biomimicry (see also Janine Benyus’s TED talk). As a CEO concerned with business development, I can’t help but consider this piece on elephants as gardeners. (Watch this video from BBC.) Instead of cold calling and direct sales, how do we consume and generate new opportunities? Or this one, where mangrove forests act as shields against rough weather. (Watch this video from BBC.) Is this a model for Internet security developers? How do you create such a complex network of activity and digital mass that no one can come out the other side? I have two current organizational development (OD) challenges to which I am interested in applying this kind of thinking. First up are business development efforts, including consultative sales, account management, proposals, awards and speaking opportunities, and overall marketing. The second is operational: while some production environments lend themselves to the more simplistic factory model, others do not. As a CEO of a creative firm delivering customized training and communications solutions, I am interested in scalable production models that do not become overly obsessed with efficiency at the cost of creativity. Considering these challenges in the light of lessons learned from the wolves and rivers of Yellowstone Park, I’m mapping them in new ways. My approach is less linear and direct cause-and-effect, and more, as Carl Jung would look at content in psychoanalysis, circumambulation—walking around each interaction within the cascades. In this exercise, even if I have not landed on the exact strategy in quick order, I become a better observer and find myself asking better questions. Sometimes it is the willingness to remain the state of questioning that delivers the real innovations and often opens ourselves up to the fact that a cascade within any system involves others—other people’s answers and questions contributing to the larger system of possibilities. It is at once both bewildering and inspiring. If you have noticed interesting trophic cascades and applied biomimicry yielding innovative ideas for organizational development, marketing and sales, education, or any other endeavor, please share them with me. I am very excited to integrate this into my approach to work and life, and welcome an open dialog with others. I don’t know much about business but I am working with a group of people to launch one in a few months. It’s natural that we should learn to grow and develop by understanding and copying nature, but we forget it. Thanks for pointing it out in such a beautiful way.